AMD's ATI Radeon HD5870 graphics card, Dell's Alienware TactX keyboard and Nikon's Coolpix s1000pj have all picked up the accolade of being named in the CES2010 'Best of Innovation Honorees'. Before the January tech conference, the CES innovations awards serve to point to some of the biggest game-changers in technology in 37 categories. The best of these innovations are put into the 'Best of' category, and this year's awards sees some big names picking up the honours, along with a host of less high-profile winners. 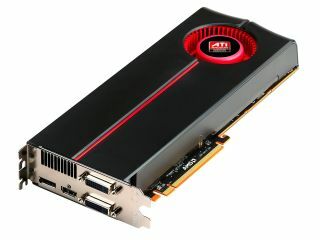 AMD's ATI Radeon HD 5870 is the world's first Direct X 11 graphics cards – and brings some key innovations to the PC, although NVidia is yet to unleash its DX11 cards. Genesis Advanced Technologies' Genesis 7.1f high end speakers picked up a nomination for its 'elegant' efforts, Plantronics Savi Office was included for its neat phone to computer switching technology and Sanyo picked up the eco nomination for its eneloop bicycle. Nikon's Coolpix s1000pj has a built in projector – which pushed it into contention - and Dell's Alienware branded TactX keyboard was considered a big success for gamers. Other winners were: Crystal Cable BV for its natural glass Arabesque speakers, Intellitouch for its Eos Converge multi-room audio system, Sonic Innovations for the Sonic Touch hearing aid, Sirius XM Radio for XM SkyDock satellite radio and Ford for its In-dash computer. You can look through the nominees for all the categories at the CES website.